After the huge success of A6000, Lenovo started to sell another budget 4G enabled smartphone, Lenovo A7000 on 15th April through Flipkart by flash sale system. 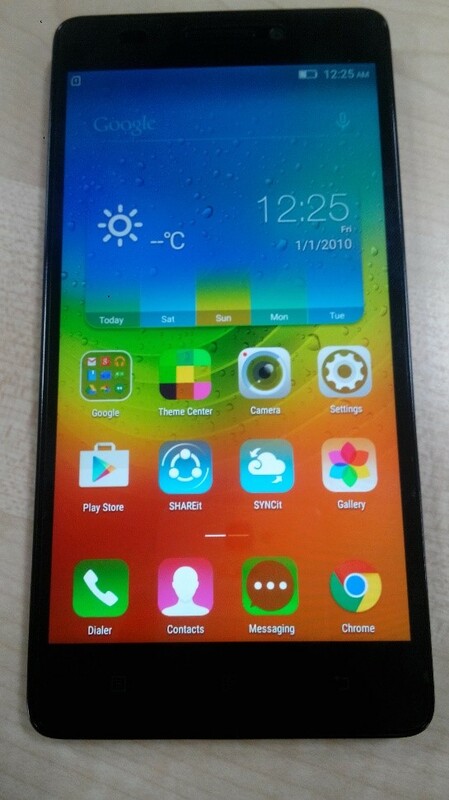 A7000 is a 64bit 1.5GHz octa-core MTK6752m powered smartphone running android lollipop 5.0 with VIBE 2.0 UI on top. Handset, battery, screen guard, earphone, travel charger, data cable, user manual and warranty card. At the top, it has a 3.5mm audio jack and micro USB port. There are dual Mics one on the top and other at the bottom – for noise cancellation. The power button and volume rocker are placed on the right side. 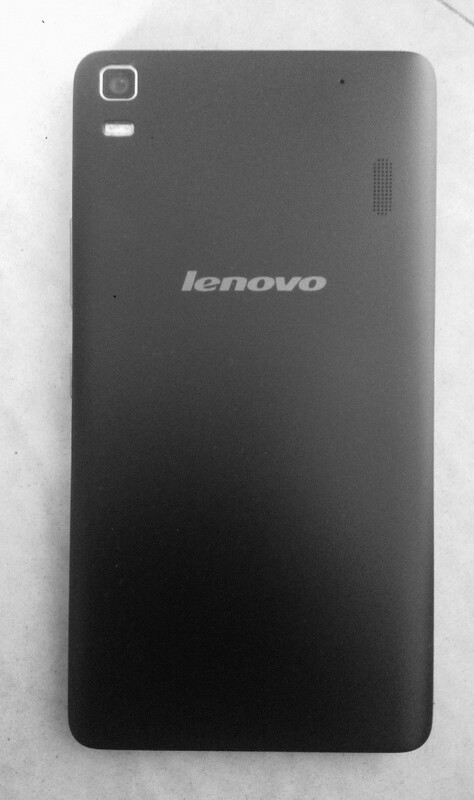 On the back, it has an 8MP camera with dual LED flash and speaker vents. On the front we have an ear piece, 5MP camera, sensors and a LED notification. This is a dual SIM handset (both micro SIM slots). Primary sim supports 4G/3G/2G. Secondary sim supports only 2G network. Following sensors are present – Accelerometer, light, magnetic, proximity and gyro. There are no on screen navigation buttons and unfortunately physical navigation buttons don’t light up. The A7000 comes packed with 2GB of RAM and 8GB of internal storage. You will get around 3.5 GB of free internal storage space and about 1.2GB of free RAM on the first boot. There is micro SD card slot that supported up to 32GB external cards. You can install apps on the external storage. OTG is also supported. A7000 comes with 8MP rear camera with dual LED flash and a 5MP front camera. Back camera was disappointing as it lacks clarity. Pictures look to be washed out. Flash is really powerful. However front cam was managed to take decent photos. The handset can shoot and play full HD videos. A7000 comes with DOLBY Atmos. Overall speaker output is OK. But speaker output is very poor at lower volume levels. Stock headphone is of cheap quality. I will prefer to buy good earphones. Dolby works really well through headphones. A7000 comes with a 2900mAH removable battery. Battery backup is good. You can expect a single day usage. It comes with battery saver mode and ultra-battery saving mode where only call and SMS works. Antutu Benchmark score was 42183, almost equivalent to that of MI4 and Galaxy S5. A7000 comes with Mali-760 MP2 GPU. Comes with preloaded games like Asphalt 8, Spider-Man, Tap the frog. I played Asphalt 8 in high graphics mode. There was no lag. Chipset is really made for gamers. Phone gets heated up a bit while playing games. For a price range of 8999/-, this phone comes with a really good specs. CPU and GPU are powerful. Touch response, viewing angles and battery backup are on the positive side. Camera and speakers are on the negative side. I will recommend this phone. You can also consider buying Yureka for the same price range. Moto E (2nd Gen) Vs. Lenovo A6000 which is the perfect budget smartphone?